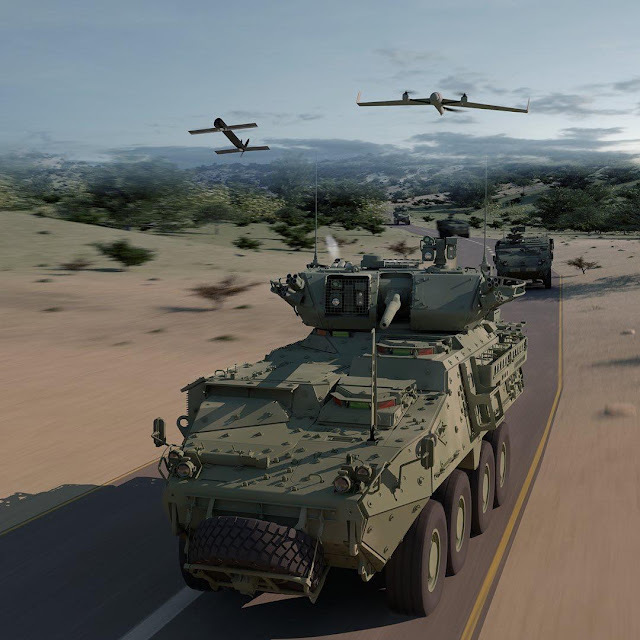 General Dynamics Land Systems and @aerovironmentinc have joined forces to integrate Unmanned Aircraft and Tactical Missile Systems with armored combat vehicles. This partnership will deliver a decisive advantage to ground combatants, to see first and strike first, across the tactical landscape. I always thought that UAVs should be controlled by Battalion, Regiment or Division levels. That doesn't seem to be the future. I imagine networking has allowed the Unit Commander to get a pic of the battlefield from info fed to him from all his forces instantaneously now. If this works as advertised AND if they can prevent the enemy from jamming/disrupting our communications then I'm finally locking onto how this could all be a gamechanger.